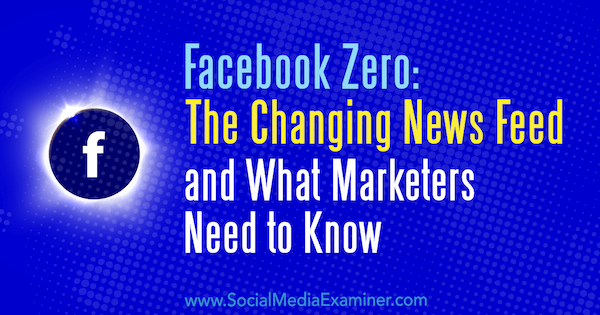 Facebook Zero: The Changing News Feed and What Marketers Need to Know by Paul Ramondo on Social Media Examiner. What prompted these changes to the news feed? Facebook has publicly acknowledged that passively consuming articles or videos that don’t spark engagement or interaction is bad for a person’s mood. Is Social Media Good or Bad for Well-Being? Further, existing ranking factors that determine what gets displayed in the news feed will still affect the total visibility of posts from Facebook pages, as well as the type of content that’s published and how people react to it. You can read more about these ranking factors here. It’s unclear whether these updates will affect Tasty-style 60-second videos or longer uploaded videos, and average watch time. We can make some predictions and model the effects these updates could have on the overall cost of Facebook ads using a basic supply and demand graph. Prior to these changes taking effect, we’re at the first equilibrium point of P1Q1, as shown in the graph below. Editor’s Note: This section has been edited by the author to reflect an error discussed in the comments below. To keep things simple, we’ll make two assumptions about the effect of the news feed updates. First, the way in which Facebook ads are served to users’ news feeds will be unchanged. The third assumption is that more pages will boost their page posts or invest in ads to combat the collective loss in organic reach, which would mean a larger total demand for Facebook ads. This would cause the D1 demand line to increase and move right to D2, which would cause the price of Facebook ads to increase. 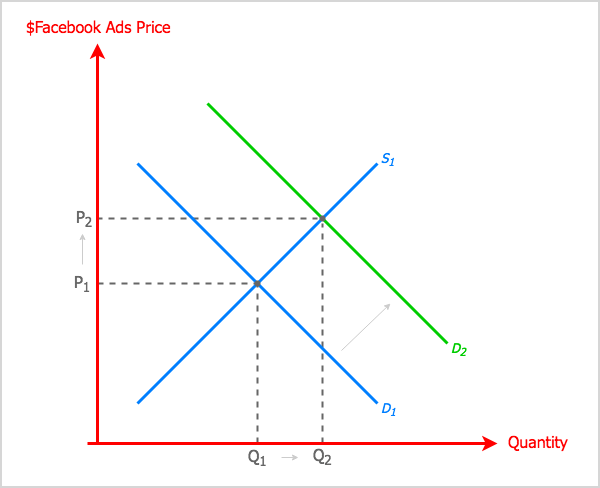 The new equilibrium point would be P2Q2, where the overall price of Facebook ads has increased as a result of the increased demand, other factors being held constant. Social Media Marketing World is Social Media Examiner’s flagship event and is taking place at the end of February. Stelzner knows this change will be the talk of the town. With 5,000 marketers in one place, there are bound to be a plethora of ideas on how to handle this shift. What do you think? 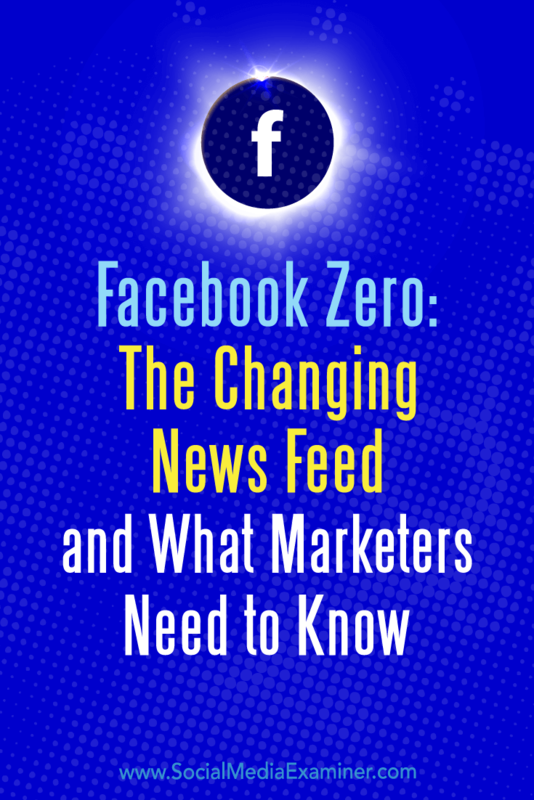 How will your business prepare for the news feed updates? Do you plan to make significant changes to your Facebook marketing strategy? Please share your thoughts in the comments below.